This post is one of the series of posts I written earlier relating to my view on the global economy. In Part 1 & Part 2, I discussed about the artificial harvest of the past and shared my views. Part 3 describes how the entire world has been leveraging up in recent times. This article is an extension of Part 3 which we turn our attention back home to see if Singapore is over-leveraged? Singapore has all-time high debt to GDP of ~105% recorded as of end 2015. 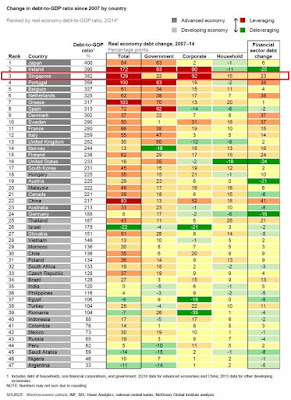 We ranked top ten in world's most indebted nation relative to GDP. 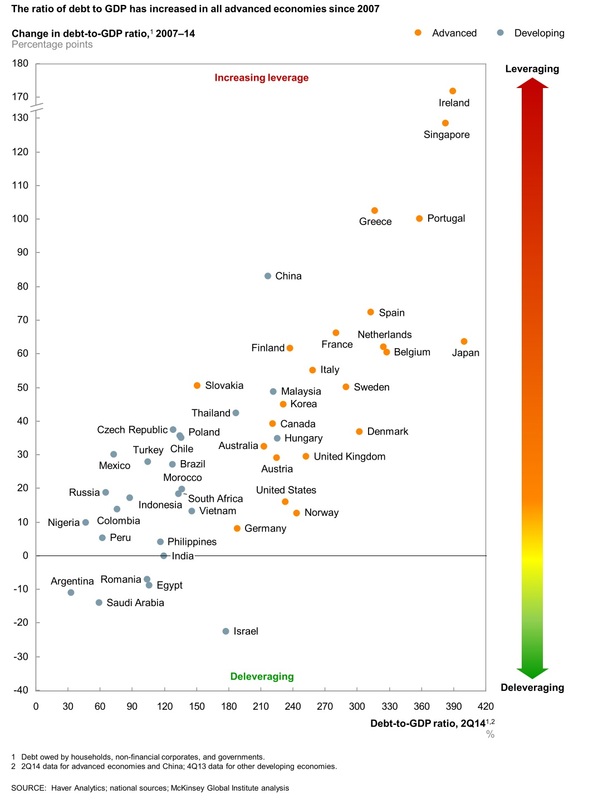 U.S. sits just below Singapore in the indebtedness ranking. Over the last twenty years or so, our public debt to GDP ratio has increased close to 40% from a record low public debt-GDP ratio in 1994 at 66.9% to the current level of more than a century percentage. 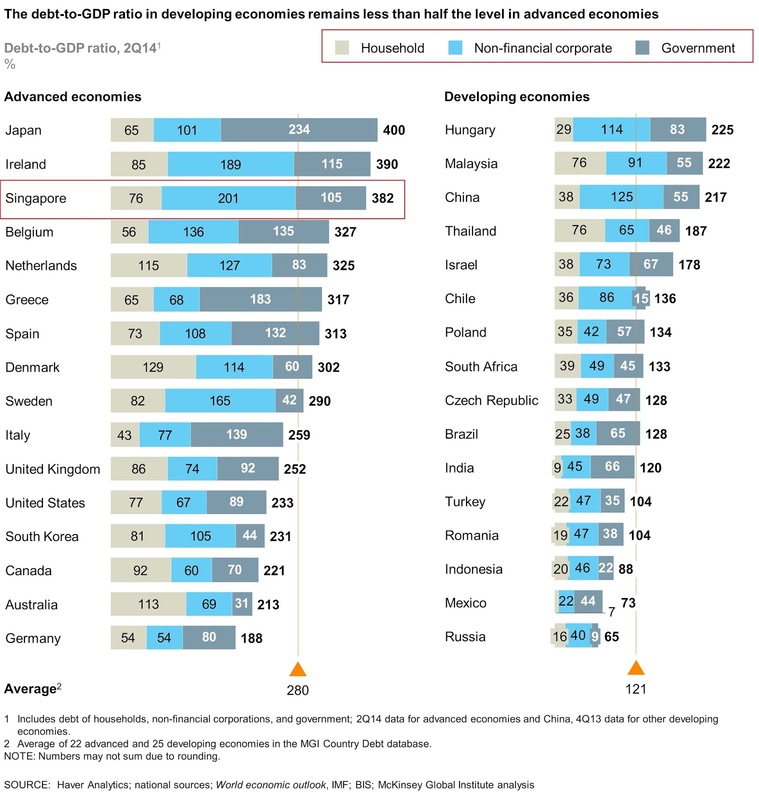 If we include debt associated with non-financial corporate sector and household, our Total Debt to GDP is a staggering 382% in 2014 and we are within the top 3 most indebted nation in the world. Japan tops the list with a 400% ratio. 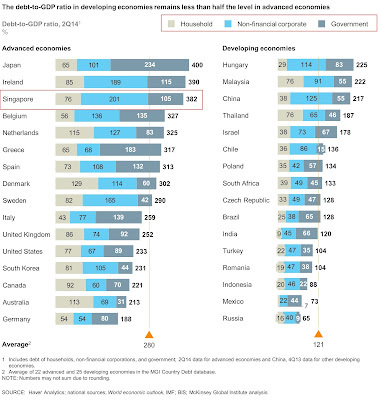 According to a report from McKinsey in Feb 2015, Singapore had the fastest debt growth since 2008 only after Ireland. In particular, Singapore’s corporate's debt rapid growth had been nerve-racking and our household debt incurred primarily via housing loans is one of the highest in the world. That said, it pays not just scratching the surface, and instead, let's delve deeper. “For some nations, an unusually high debt‑to‑GDP ratio does not signal imminent danger. These are places that serve as business and financial hubs. The high level of financial ‑sector and corporate debt that results may or may not involve heightened risks. 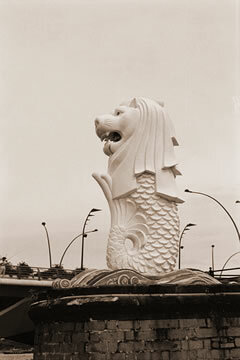 Singapore and Ireland, for example, have tax regimes and other regulations that make them attractive for locating operations of global corporations. The debt incurred by these entities is used to fund activities in other nations, so its relationship to the host country’s GDP is not indicative of risk. 1) Singapore Government Securities (SGS) and T-bills to develop the domestic debt and active secondary markets. It also encourages issuers and investors, both domestic and international, to participate in the Singapore bond market. 2) Special Singapore Government Securities (SSGS) that are non-tradable bonds issued specifically to meet the investment needs of the Central Provident Fund (CPF) Board. Central Provident Fund (CPF) monies are not managed as a separate entity by the GIC but pooled and invested with the rest of the Government's funds. 3) Singapore Savings Bonds (SSB) started on Oct 2015 that are non-marketable SGS issued to individuals to provide them with a long-term savings instrument. Above table shown is as of March 2013 and excludes SSB. 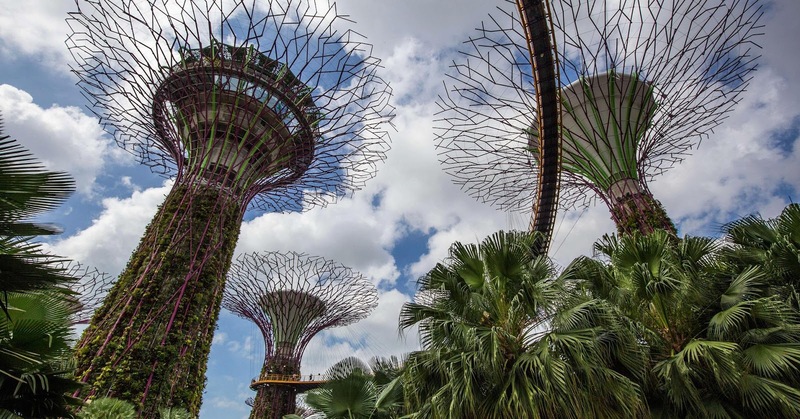 According to Singapore Ministry Of Finance, borrowings are not for spending as Singapore operates a balanced budget policy and often enjoys budget surpluses. Therefore the lion share of debts are in fact Central Provident Fund Board (CPF) which is the main holder of these debts. This means government borrowed the most from the people’s CPF, and has no external debts owing to other countries or private entities. Singapore Government cannot spend the monies raised from SGS and SSGS. All borrowing proceeds are therefore invested. The investment returns are more than sufficient to cover the debt serving costs. As of 2013, this can be seen from the investment returns that are made available for spending on the Government Budget – or Net Investment Returns Contribution (NIRC). Under the NIRC framework, up to 50% of the long-term expected returns earned on the net assets (i.e. assets net of liabilities) are available for spending. The NIRC of about S$7 billion each year means that even after deducting all the Government’s liabilities (including CPF monies), the remaining net assets produce significant returns. Surplus returns belong to Past Reserves and cannot be spent by the Government. The Singapore Government also has a strong balance sheet, with assets well in excess of its liabilities. According to the 2013 MOF report, our S$396b public debt also does not take into account the Government’s asset position, which exceeds its liabilities, and its ability to service debts through returns on its assets. Government’s assets are mainly managed by GIC. The Government also places deposits with the MAS; in turn, MAS as a statutory board holds its own assets on its balance sheet. In addition, the Government is the sole equity shareholder of Temasek Holdings (Temasek). Temasek owns the assets on its balance sheet. 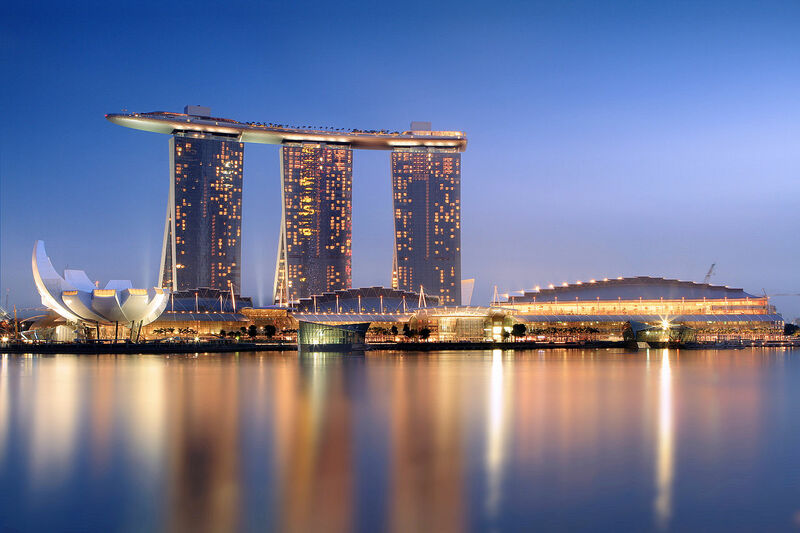 Since 2003, Singapore has consistently achieved the top credit ratings of triple-A with a stable outlook from the three main credit-rating agencies. Singapore has 90% home ownership which is the highest in the world with Germany at the other extreme with 53% home ownership. This high ownership is largely due to our government policy that majority of the Singaporeans are staying in HDB. As of 2013, 80% of our population is living in HDB with 95% of them owning their HDB flat. Since HDB’s inception on 1 Feb 1960, it had built 1,077,103 flats up to end 2014. As mentioned earlier majority of Singapore’s public debt is held by CPF of the people. A large part of the CPF is also used to invest in HDB in Singapore. So our government borrowed money from us (CPF), to build home for us. They also invest for us to pay interest to our CPF. We then borrowed money from the government to buy these HDB built. In order to repay the long term debts of HDB, the people will then have to work their lifetime to repay the debt and interest. Therefore if the government invests more and more on public housing, our government debt will increase. As the people borrowed more and more from the government to buy housing, household debt will also increase. But essentially, there is no external debt involved. An article from Strait Times (refer here) in Nov 2014, further justified why Singapore is not heading for a debt disaster despite our high debt-to-GDP ratio. Singaporean households have shown an excellent ability to service their debts, mainly thanks to the robust job market and their ownership of liquid assets. Singapore’s household have strong ability to liquidate our assets to pay in a timely manner. Huge household liquid assets are held in the form of cash and bank deposits. At the end of March 2014, it had in aggregate $329.4 billion in cash and bank deposits, which exceeded the total liabilities of $282 billion. Assets of Singaporean households were worth over six times their liabilities in each of the past five years. In short, for every dollar that the household sector has in debt, it has over $6 in assets for repayment. US sub-prime crisis took place due to over lenient lending conditions. On the contrary to US, Singapore has strict lending conditions with home loan capped at 80% of property price. The 8 rounds of property cooling measures after the GFC with the increased Sellers Stamp Duty (SSD), lengthened holding period and introduction of Total Debt Servicing Ratio (TDSR) had proven this. Furthermore, in practice, mortgage loans have been lower than the bank mortgage limits. The Monetary Authority of Singapore (MAS) estimated that the average loan-to-home value was 47.5 per cent as of the 1Q2014. As of 2014, personal loans were at 26 per cent of total liabilities, and credit card loans at 3 per cent, throughout the last five years. There is no sign of a significant change in consumer spending or borrowing habits. The size of bad loans for the banking sector in Singapore averaged only 1 per cent of their lending portfolio as at the end of last year. Bankruptcy cases, while on the rise from 1,748 in 2012 to 1,992 last year, represented only 0.14 per cent of total credit-card users over the same period, an insignificant number at the macro level. In addition, the unemployment rate is very low at about 2 per cent, and job market prospects still look healthy, barring unforeseeable economic calamities. One special characteristic of the labour market in Singapore is the high proportion of foreign workers: about 35 per cent of the workforce. Should unemployment rise, the Government can activate pro-Singaporean worker schemes to promote employment among the resident population. This makes it unlikely that a prolonged high level of unemployment will threaten Singaporeans' financial stability. If all earlier said is true, then our high debt levels should then be no cause of alarm. Nonetheless, it pays to be prudent and there can be inconceivable scenarios which will push many Singaporeans to the corner. Below are some scenarios. Our household debt is backed strongly by household asset. However household asset value is vulnerable to property price shocks. If the economy is not doing well, unemployment rate will rise and income will fall. This will affects the ability to service the mortgage debt. Auctions of “debt default” properties will soon become widespread and put spiral down pressures on the property price. If outlook continues to deteriorate, there will then be many desperate sellers. Then it will not just be the price of property that matters, but the inability to find buyers in a certain period of time. Interest rates in Singapore have a high correlation with US interest rates. The Singapore dollar is pegged to a basket of currencies, with one of the currencies being the US dollar. If for whatever reasons, Fed implements a rate hike, households and corporations with large share of the loans on variable rates will be drastically affected. Imagine a scenario which you use to have a good job with good income, servicing your mortgage with 1-2% floating interest rate for the last 7-8 years. You are very comfortable. Now you lose your job, and floating mortgage rate spike to 2-3, then 3-4%, then 5-6%. Your cash is depleting faster than you expected without income and yet have to service the hefty loan. Fearing that interest rate rise further, you wanted a fixed interest rate financing. Unfortunately, you are unable to re-finance because you have no job and no income. Even if you still have income, the value of your house may have depreciated against your loan value. This makes re-financing impossible unless you fork out additional cash to top up the difference in the loan and the property valuation. If you are staying in a HDB, perhaps government is still kind enough for you to default many payments of installments. If you are staying private property with relatively high bank loan that you no longer can service, soon the bank will take possession of your house. Most Singaporeans are asset rich but not necessarily cash rich. Furthermore, assets and liabilities are not necessarily evenly divided among households. There can be a possibility that the minority of the wealthy are contributing to the healthy figures shown. In an unfavorable economic situation, there is high chance of corporate default in debts. This will lead to more non-performing loans recorded in Banks. We already had seen how DBS had been over-optimistic or not as transparent to say the least in their handling of Swiber’s debts. If corporations and banks are not doing well, jobs will be lost. Unemployment heightens, income of individual will fall. And if debt burden is rising faster than income, servicing of mortgage or personal loans will become increasingly difficult. Cash of individual household will deplete faster than expected. This will lead to Government intervention and likely drawing from our past reserves to salvage the situation. Not a situation we want to see. If war do takes place which is not totally unlikely and like one of the readers pointed out during the Iraq war, even when it was nowhere geographically near to Singapore, prices for daily necessity back then inflated rapidly due to the panic. Undersized panic, but not to be underestimated! Earnings fall, cost of living rise - double whammy! Without any external debt and with strong reserves coupled with a stable political system, we are in a strong position to weather any downturn ahead (if any). While being paranoid, I am confident that Singapore is still able to do well or at least sustain economically for decades to come unless we see a big screw up in our leadership. That said, the short term possible knee-jerk events may mean sufferings for many Singaporeans. For our survival sustainability, a lot have to depend on the next generation in the 90s/ millennials. I am no big fan of them, but let's even hope there can be an awakening to change their mindset. 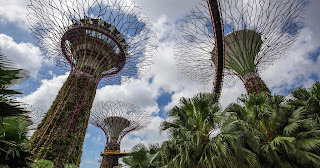 As a boy in the 80s and 90s, I was always told by all my teachers that Singapore was well recognised by the world as the "Garden City" clean and green! Rarely heard that from kids nowadays. 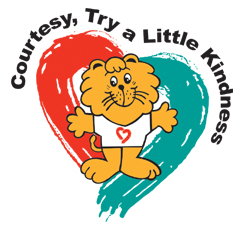 The two Lions that I am proud of, so prominent for all Singaporeans in the 80s / 90s! We are more proud of these man-made structures today. The kids are talking about it. 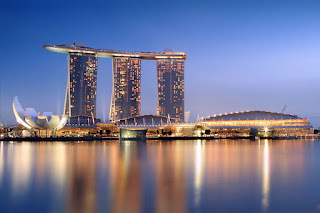 The landmark of Singapore to all tourists in the world is almost always - Marina Bay Sands! Oooops .... didn't we realise that the CORE of MBS is a casino or at the very least owned by an owner whose wealth were acquired via gambling business. Think again.... Singapore's landmark today.... A casino! ok what? You really think so? not all metrics measure equally. not all metrics measure fairly. "Singapore has all-time high debt to GDP of ~105% recorded as of end 2015. 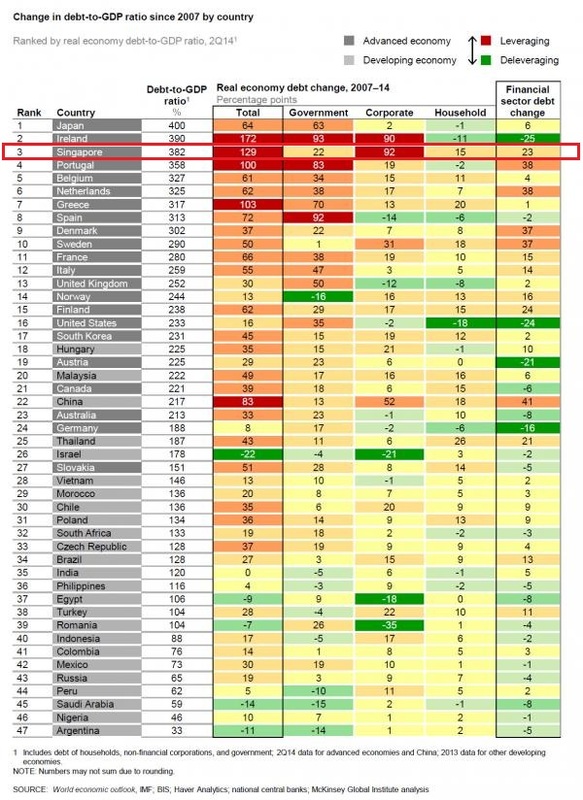 We ranked top ten in world's most indebted nation relative to GDP. 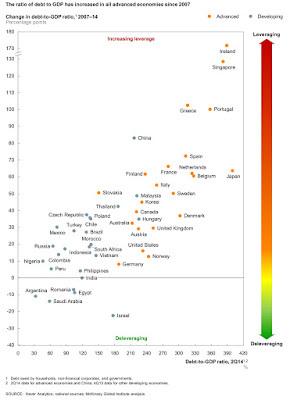 U.S. sits just below Singapore in the indebtedness ranking. " "The debt incurred by these entities is used to fund activities in other nations, so its relationship to the host country’s GDP is not indicative of risk." Yes, mostly to develop domestic debt and borrowed from CPF for housing and foreign investments. Perhaps the right metric is to be able to collect local industries leverage data eg. SME, GLCs. and look at the ratio to tell. I do not have that data, perhaps u have something to share? Mas : corporate debt mkt grew at compound annual rate of 14% from 2010-14. Total outstanding debt $308b at end of 14. Sgd corporate bond ave 20-25b pa over last few yrs. As of 1H16, sgd bond outstanding at 140b. this incl. HDB bonds. Default of corporate bonds: Pacific Andes Jan16, Trikomsel Nov15 & Swiber Aug16. Don't think I will delve into details as I already mentioned Sg have no external debt and most debts are issued to CPF, so I reckon SG is not highly leverage as it seems. Hi Rolf, agreed to your comment SG is not highly leverage. Which is why when sometimes i come across analyst report that use general debt to rate country risk i shake my head. Time has really changed. From the Singapore Lion to Esplanade aka Durian to Marina Bay Sands. Anyone still remember the Singapore Flyer? What's next? U mean the flyer failure? We do have a nice views of Sg during F1. It's stunning views which is something we should be proud of. Just that I am uncomfortable with a casino being our landmark today. Maybe I think too much. i suddenly remembered this old skool coin donation box (a girl with bear/dog?) for the Spastic Children's Association of Singapore ..
Nice to see u back. Hope u r still "threading water" well in the oil and gas. I cannot recall about the donation box... any significance? good to be back. stil threading precariously. situation has gotten only slightly better, only so very very slightly. there are rumors of projects coming up, so hopeful that turns out well. 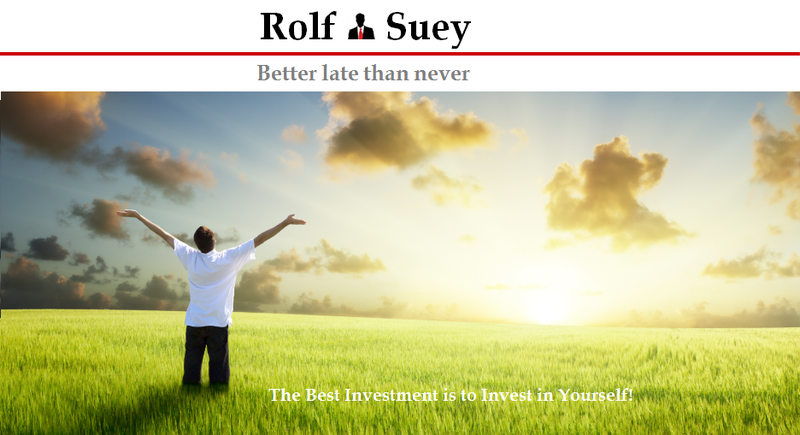 i am actively seeking other opportunities at the same time and trying to improve myself. Wish you all the best in your search. I am a believer that if we do good, the good will befall on us! I am sure you are a good person who do good things in life. Even retrenchments or losses in stocks may not be a bad things sometimes or they can be indication for us that we need a change and the change may be for the better! Thanks for the informative post. My friends moved to Singapore a few years ago and they say they are very happy there. The economy in Singapore is very stable while the unemployment rate is low. Thus, everyone who wants to work has a chance to get a job. There are very good career opportunities from people from all over the world! It’s great when your job and the country you live in make you feel confident in your tomorrow. For example, I haven’t heard that many people in Singapore to use quick and easy loan services online to make ends meet.